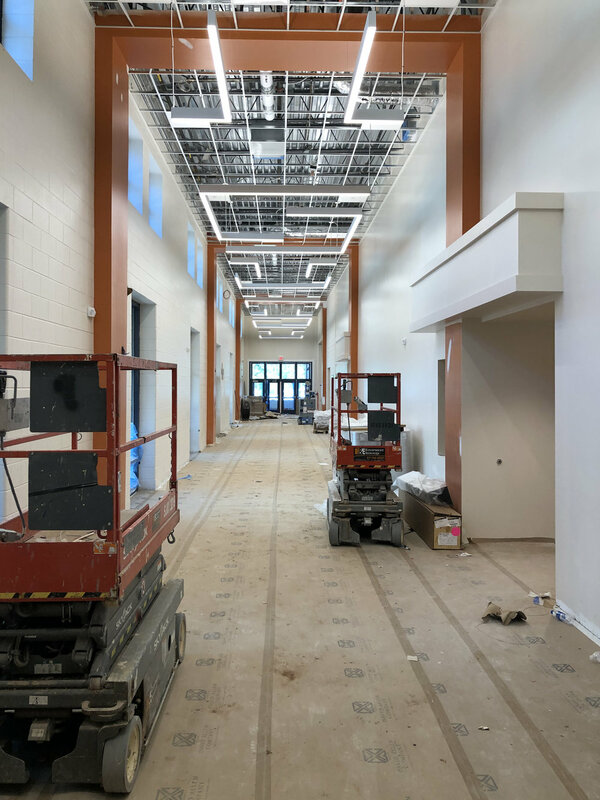 Alston Ridge Middle School in Cary, NC is nearing completion. This prototype design features collaborative spaces, a theater, and two separate gymnasiums. Through the careful design of spaces, we were able to create education pods within the school. Each grade level was divided into two main areas. Each area has direct and clear pathways to extracurricular areas and classrooms. This limits distracting encounters between students in different teams and reduces ambient corridor noise while maintaining a small-community atmosphere despite a core capacity of 1,450 students. All classrooms are located around the buildings perimeter, and large windows are placed to take advantage of natural day lighting.